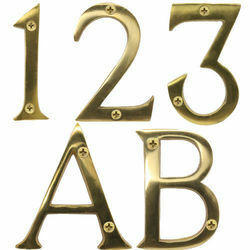 Our product range includes a wide range of stainless steel letter, 3d brass letter and 3d alphanumeric brass letter. Having a pre-defined quality administration process, we are readily engrossed in presenting a top class variety of Stainless Steel Letter. Applauded owing to their reliability and elevated life, these are enormously cherished and treasured. Together with this, these could be purchased form us at most affordable rates in a variety of provisions. 3D Brass Letter offeredprovide for best product/business advertising support and come in quality laser cut finish so as to provide for smooth edges and flawless attractive constructed finish. These letters are suitable to be used in areas like hotels, resorts, shop fronts and other places as per the specific usage needs of the customers. Some of its features include excellent handcrafted finish, choice of different polishing support, can be provided with support of different effects like backlit metal letter sign, chrome finish letter sign, polished mirror sign and others; choice of customization based on the specifications/samples provided by the customers. 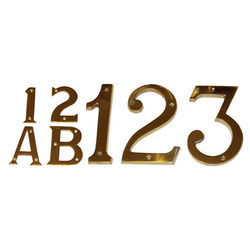 3D Alphanumeric Brass Letter offeredprovide for best product/business advertising support and come in quality laser cut finish so as to provide for smooth edges and flawless attractive constructed finish. These letters are suitable to be used in areas like hotels, resorts, shop fronts and other places as per the specific usage needs of the customers. Some of its features include excellent handcrafted finish, choice of different polishing support, can be provided with support of different effects like backlit metal letter sign, chrome finish letter sign, polished mirror sign and others; choice of customization based on the specifications/samples provided by the customers.